Details Siderite is carbonate of iron, and is of a light brown color, but can also be gray, yellow, yellowish brown, greenish brown and reddish brown because of impurities or the alteration to goethite (See more about goethite). Named in 1845 from the Greek word for iron, sideros, in allusion to its composition. Siderite was first noted by Seymour (1868), tentatively accepted by Palache (1935), and confirmed by Frondel (1972). A survey of literature did not reveal any direct evidence of siderite among historical pigments. 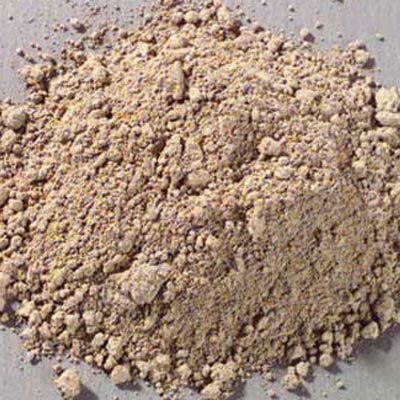 However, since siderite is closely associated with iron oxide pigments such as goethite (ochre), it may be safe to assume that it has been in use for as long as ochre pigments. An minor ore of iron, siderite generally occurs in cleavable masses, but also in rhombohedral, tabular, prismatic or scalenohedral crystals. It is of a light yellowish brown color, but can also be gray, yellow, yellowish brown, greenish brown and reddish brown because of impurities or the alteration to goethite. It forms a series with closely related minerals rhodochrosite (MnCO3) and magnesite (MgCO3). Siderite is roughly the equivalent of calcite but with iron replacing the calcium. The iron has little effect on most structural properties such as crystal form, but does affect properties such as density, color, and hardness. Siderite occurs mostly in sedimentary and hydrothermal environments, although it is also found in some igneous pegmatites (a variety of granite occurring in veins). Other minerals associated with siderite include iron sulfides, quartz, cerussite, ankerite, dolomite, goethite, cryolite, limonite, barite, pyrite and sphalerite. 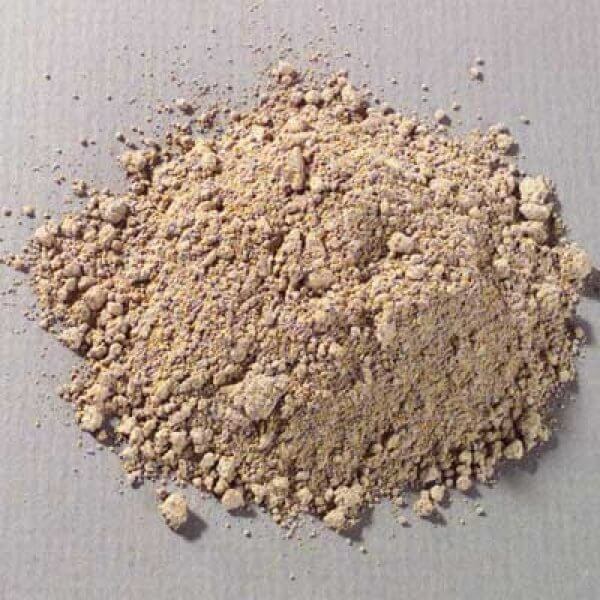 Siderite is rarely encountered pure in its native state, a typical analysis is 63.55% siderite (FeCO3), 6.01% zinc carbonate (ZnCO3), 4.27% manganese carbonate (MnCO3), and 23.50% calcium and magnesium carbonate ((Ca,Mg)CO3). Siderite is found in many locations of the earth associated with iron ore deposits. We obtain our siderite pigment from minerals obtained directly from its source in the Kaluzhskaia province of Russia. As an earth pigment, siderite is also among the most permanent pigments in the artist's palette. Although it is a carbonate and hence reactive to acids, it can be safely used in all painting techniques. Siderite absorbs a moderate amount of oil during dispersion and forms a good flexible film. 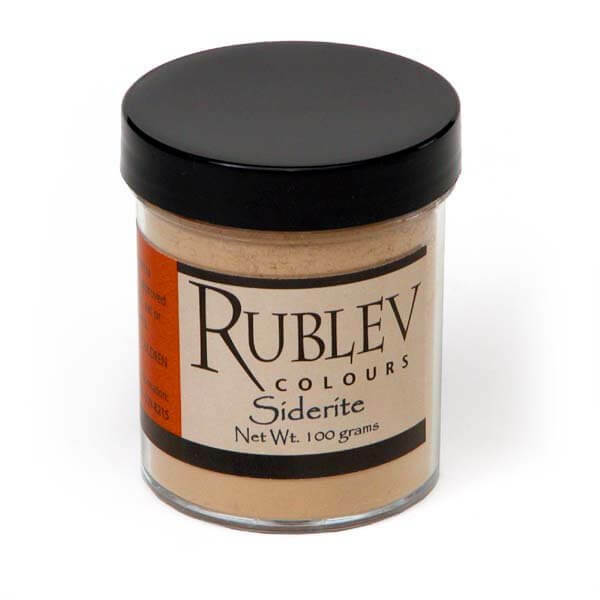 Siderite is not considered toxic but care should be used in handling the dry powder pigment so as not to inhale its dust.